The nice thing about planning at least two nights at any spot is the free full day to explore the area. I am not sure if good weather would make exploring Crescent City a bit more alluring, but in pouring rain, one day was just enough, with time left over for kicking back in the MoHo listening to the drumming rain on the roof. As often happens, however, the weather gods were with us when we left mid morning to check off the list of “21 things to do in Crescent City”. The rain let up, and the heavy skies were magnificently interesting as we drove across the highway and down the road a piece to the Crescent City Harbor. On Sunday, all was fairly quiet, and I am sure the inclement weather may have had something to do with that as well. It didn’t stop the surfers on Crescent Beach, however. One “thing to do” checked off: visit Crescent Beach. The surfers were determined, in spite of the rain. Mo and I wondered why they wear wet suits that make them look like seals instead of something hot fuchsia or fluorescent lime. At least a shark might not mistake them as easily for food. We explored the Marina area, including the somewhat dicey looking Harbor RV Park. Crescent City is still an active fishery and there were many interesting boats in the harbor. There are informative signs and photos of the tsunami generated by the Japan earthquake in 2011. The high water mark was haunting as we looked back trying to imagine how far inland the surge extended. There were several surges with huge damages to the harbor. There were also images of the Alaskan earthquake of 1964 and the devastating effects that tsunami had on the town of Crescent City. The Visitor Center was closed. Sunday is not necessarily a good day to visit a small town in the winter season. By the time we reached the end of the road, the rain had mostly stopped. The Battery Point Lighthouse view parking lot had signs for “event parking”. Our timing was impeccable. The tide was out and people were trekking across the rocks and up the hill to visit the beautiful little lighthouse perched on a rock, only accessible on foot when the tide is out. We could see folks in the light area, but the main door was closed. I assumed it was a tour scheduled for the opportune moment of lowest tides. The residence for the lightkeeper is actually in the lower part of the lighthouse, and there are signs indicating that it is a private residence and the occupants shouldn’t be bothered. I am not sure how one would actually sign up for the tour, maybe the Visitor Center? By the time we returned to the parking lot, the tide was already coming back up and I was glad for walking sticks and shoes that could handle the water. The rain started up in earnest. An hour later we would have missed both the low tide moment and the break in the heavy rain that poured most of the day after that magic little moment. We drove out the Pebble Beach Road to the end of St George Point, where several signs noted that there was a huge fine for disturbing and archaeological site, but with no information as to why it was considered such. Searching the internet, I found a few scholarly papers discussing the Tolowa people who once lived in that area. I would imagine that if the Visitor Center had been open, we may have found more information available. The Museum was also closed, and would have provided fascinating stuff, including the lens that once occupied the infamous Point St George Lighthouse, the one we see in the middle of the ocean from Harris Beach in Brookings. At lunch, I saw a painting of the lighthouse, with a boat being lifted by a crane to the boat landing above the sea. An internet search yielded fascinating photos and the amazing story of the wild lighthouse set on a lonely rock with ocean on all sides. A scary place to be assigned in the days of lighthouse keeping. We drove south along 101 in seriously heavy rain on the narrow road that led to the Crescent Beach Overlook and Enderts Beach, where we found a wonderful section of the coastal trail leading south along bluffs that rivaled those at Big Sur. Even in the rain it was gorgeous. We saw several hardy souls in rain gear hiking, even some young families. The rain was so intense I couldn’t even get out the camera and decided to skip viewing the overlook. Would love to go back to this spot and hike this trail in better weather. Before returning home, we ended our explorations with a great late lunch at the Chart Room, off Anchor Road on the Marina. The restaurant was filled to capacity with people who all seemed to know each other, with many “hi’s” and “how are you’s” echoing around the big room with a harbor view. The fish and chips were stellar, enough for a full lunch and enough to take home for another full meal for the next day. For dessert, I finally found a blackberry cobbler that was runny and juicy and not too sweet or too sour, with the perfect cobbler crust. I was thinking after two misses back in Florence, that the only way I wasn’t going to get a gluey piece of gummy cobbler was to make it myself back home! I would have liked to visit both the Visitor Center and the Museum and after our single day of rainy explorations, I think we have seen enough to entice us to return. The title says more than you might think. Isn’t it funny how life sometimes can be a metaphor of itself? On the surface, the shifting sands that I refer to, are the famous Oregon Dunes. Our life is doing a bit of shifting as well, like the dunes, nothing stays the same. Mo and I needed an escape. If we go more than a month without a MoHo getaway, that hitch-itch thing sets in and no matter the season, no matter the weather, getting on the road for a bit is a good thing. Just to change the daily scenery now and then keeps things fresh. In spite of predicted rain, a trip to the coast sounded like the best plan. Even without a “real” winter behind us, the deserts east of Klamath Falls that we love are much too cold, and the wildflowers in the southern deserts are just too far away. Neither of us was up for another marathon trip south. Instead, we decided to escape again to the Oregon coast and then travel south toward the beautiful Lost Coast region of Northern California. Some of the shifting dune life thing has to do with some surgery coming up for me in April. Nothing serious, but needed, and with the best surgeon for the procedure located in Springfield, we are making several trips there for pre-tests, consultations, and all the hoopla that goes along with this kind of stuff. Boring. We spent a night at the mall in Eugene between appointments, and then quickly made our escape after the last early morning doctor visit. Eugene is just a little over an hour from Florence, and there are many campgrounds in that vicinity that we haven’t yet explored. One of the reasons we wanted to stay in the Florence area has to do with the amazing kayaking opportunities. This time, no kayaks, for several reasons, predicted hard rain among them, and thinking about doctor visits and loading up kayaks didn’t seem to go together. Checking the maps and the campsites, we decided on Jessie M Honeyman State Park. We have avoided this area in the past, choosing to stay away from all the ATV’s that come here for the dunes. With Spring Break beginning, we had no clue what to expect, but in spite of having no reservation, we managed to find a sweet little spot in Loop F, just down from the ATV loop H, completely booked and reserved and already teeming with ATV’s, big trailers, and lots of little kids and little bikes. It looked like great family fun. We learned that unless you are actually camped in H loop, there is no public ATV access to the dunes via the trail that leads west from the campground. That limits the crowds somewhat. There are no ATV’s allowed beyond the H loop, and the background noise in the rest of the campground really is quite minimal. Honeyman is a wonderful state park, second only in size to the huge Fort Stevens State Park near Astoria where we stayed a couple of years ago. At Honeyman, the trees are huge, but access to the ocean is across more than 2 miles of dunes, and not something to undertake lightly. We didn’t even try, although we did manage to crawl around on the dunes a bit from the access trail near our campsite. Literally crawl, I might say. The dune was so steep I could no longer get up standing up and had to resort to climbing on all fours to get to the top. Fun stuff! Going down was interesting as well. Seems as though sandboarding could be fun, but for me not worth the effort of trying to get back up! We spent a couple of days enjoying nearby Florence, once again exploring Old Town along Bay Street, having coffees on the protected patio of the Suislaw Coffee Company, and browsing the cute little shops. We also explored both North and South Jetty roads, enjoying the gorgeous beaches and sand dunes in the beautiful sunshine. Structure construction with driftwood seems to be a big “thing” on the north beach. The predicted rains gave us a bit of a break on both days, coming only in late afternoon when we were through exploring and then again at night to drum on the roof with soothing sounds that make sleeping a treat. On another day we explored the historic area of the park, with stone buildings and walls built by the CCC in the 30’s. There are three fresh water lakes within the boundaries of Honeyman State Park, and while small, they would still be delightful to paddle and explore the inlets and byways. There are actually more than 30 freshwater lakes nearby in the Florence area. After a couple of days we headed south along our favorite stretch of the Oregon Coast, between Florence and Brookings. Just north of Gold Beach there are several huge wide graveled overlooks that just beg for boondocking, without a single sign saying “no overnight camping”. We used one for a great extended lunch stop, listening to the ocean and watching the light change on the waves. Our goal this trip was to stay in places we haven’t yet, but we couldn’t resist making a quick drive through Harris Beach State Park, just to see how full it was on this pre Spring Break weekend. Every. Single. Hookup site was either filled or booked, not a place to park anywhere. Don’t even try to get a place at Harris Beach without a reservation this time of year. Most of the sites were booked through the following week, so arriving on a weekday wouldn’t necessarily assure you a spot. The sun was gorgeous for the rest of the trip south, with brilliant green everywhere and beautiful blue skies. By mid afternoon, when we arrived at Crescent City, there was still no sign of the coming storm. There are three RV campgrounds near town, and we chose what appeared to be the best of them. Mo wanted to have a day to explore around Crescent City, something we haven’t done much in the past, simply driving through on our trips south. 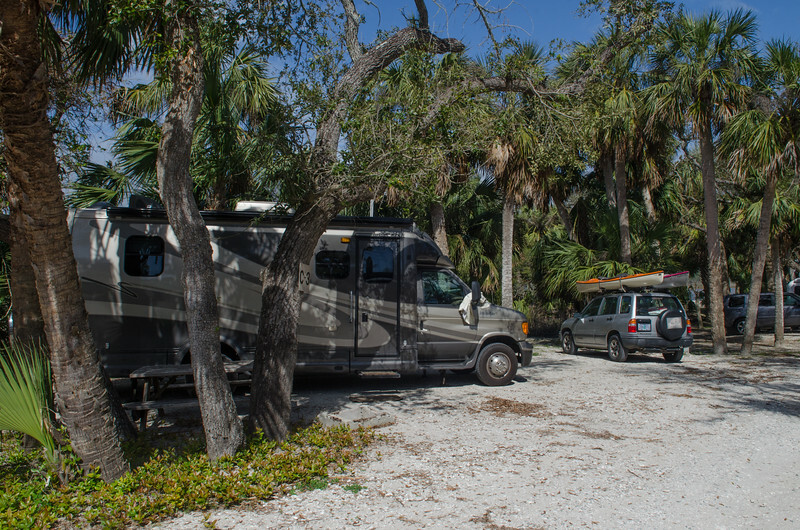 We settled in at Sunset Harbor RV Park, using the after hours/weekend check-in process. The park advertises free WiFi, but we won’t have access to that, or to the bathrooms because no one is around to give out the codes. The place is clean enough, and quiet, a simple stopover place while in Crescent City before we continue south on Monday. In the mean time, we have a few plans for the rainy day ahead, including some writing and reading and probably a card game or two. At least it is a break from all the shifting sands back home. Those shifts have to do with our plan to eventually live on the property in Grants Pass. We have begun the process. In addition, I have decided to sell my house in Klamath Falls where my daughter has lived for the last almost 8 years. She is ready to downsize and my granddaughter is ready for her first apartment. Voila! Mo has some apartments! Just a small group of units outside of town that she has rented over the years, but they needed a ton of work before the next renters could move in. We have been busy! And now Melody and Axel will be moving there and Mo and I will be doing a ton more work on my house in town getting it ready for sale. Hence the needed break! Over the next couple of years, we will get Rocky Point ready for the change as well, and are already enjoying the process of looking at plans for the house that will eventually be our home in Grants Pass, land of no snow. Although Rocky Point seems to be the land of no snow for the last couple of winters, but that can’t last forever.